Today I have for you a super quick throw together dinner, that is super flavorful and doesn’t take much effort to put together. One thing I don’t like is making a big dinner during the week that takes a lot of preparation. Between work and coming home, I’m kind of lazy. So tonight I decided to whip together Baked Chicken with Vegetables. This dish is amazing! It tastes like chicken noodle soup with out the noodles and broth. 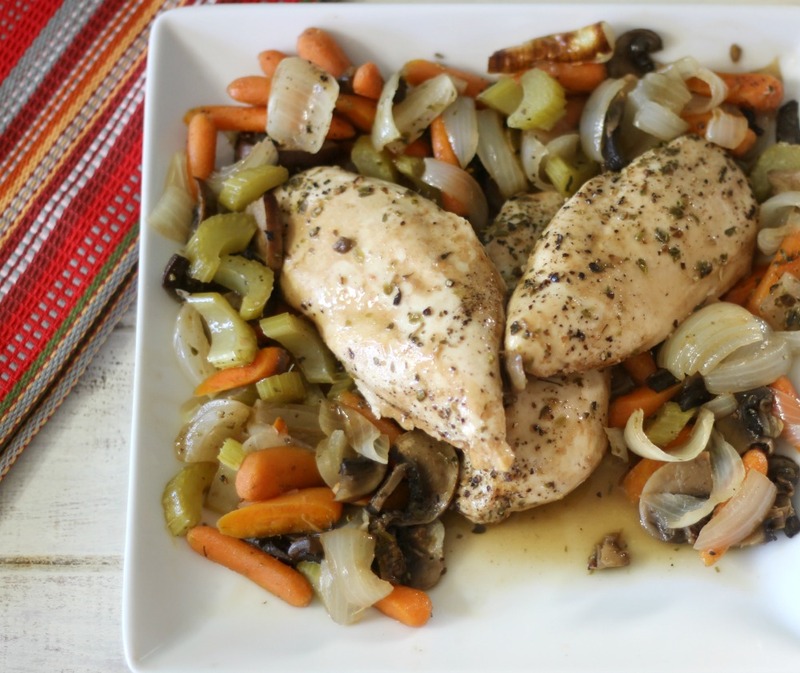 The chicken is juicy and the vegetables are cooked to perfection. And I even included some mushrooms, because they are starting to grow on me. 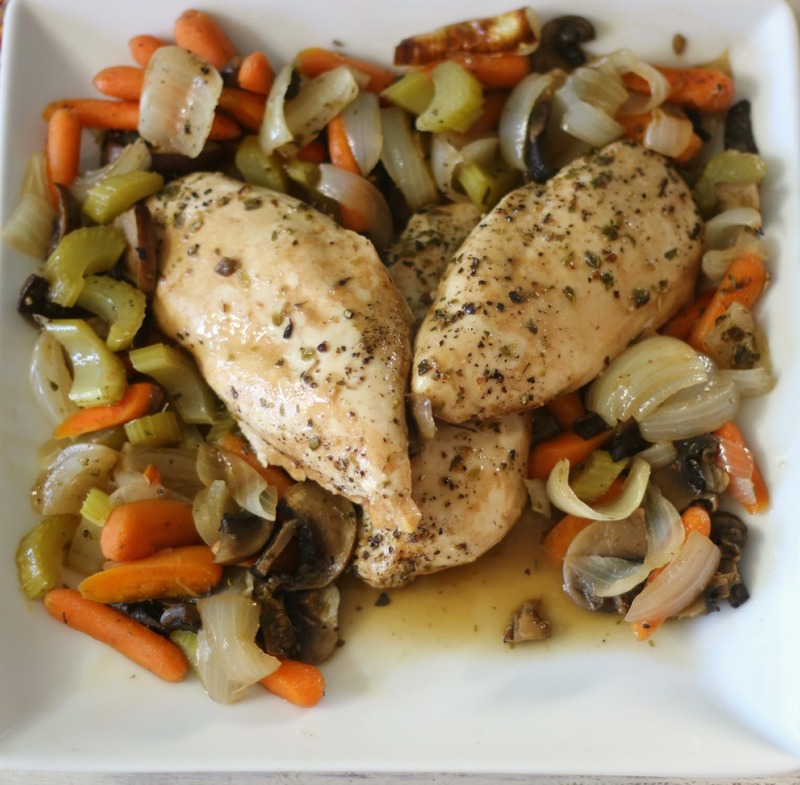 All I did was chop celery, carrots, onions and mushrooms, tossed it in some olive oil and placed it in a dish with my chicken. Poured on some fat-free balsamic dressing (Trader Joe’s) and some seasoning and baked it for 40 minutes. 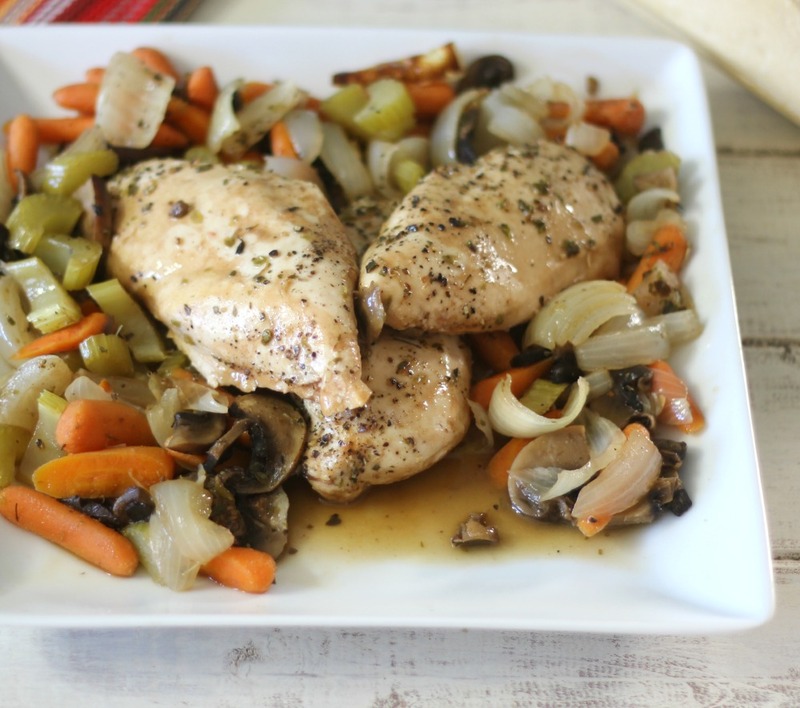 It came out way better than I thought and now will be on my quick weeknight dinner list. Here it is fresh out of the oven. 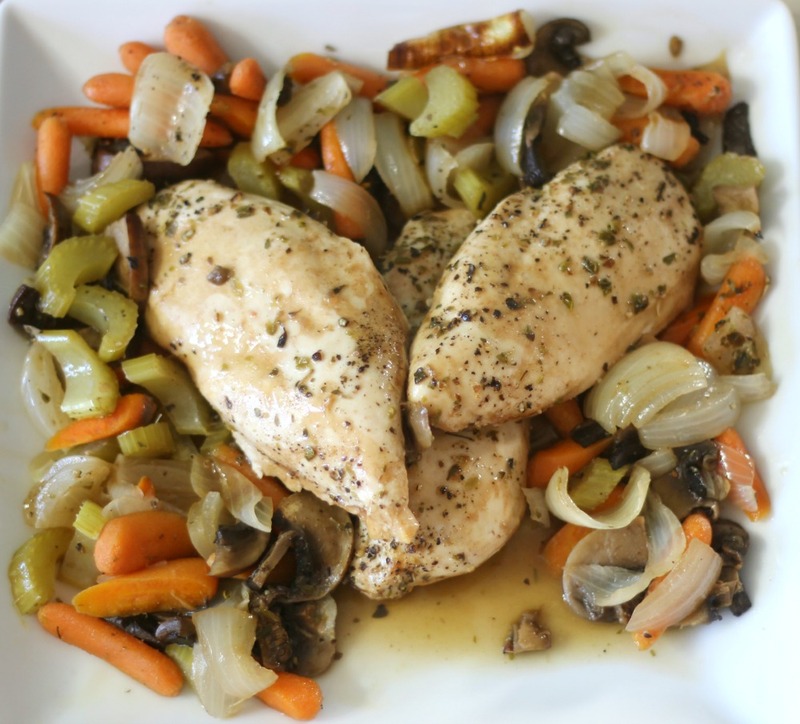 Juicy tender roasted chicken, sides with carrots, celery, onion and mushrooms. The perfect quick, weeknight meal. In a bowl, add the vegetables and olive oil, mix until combined. 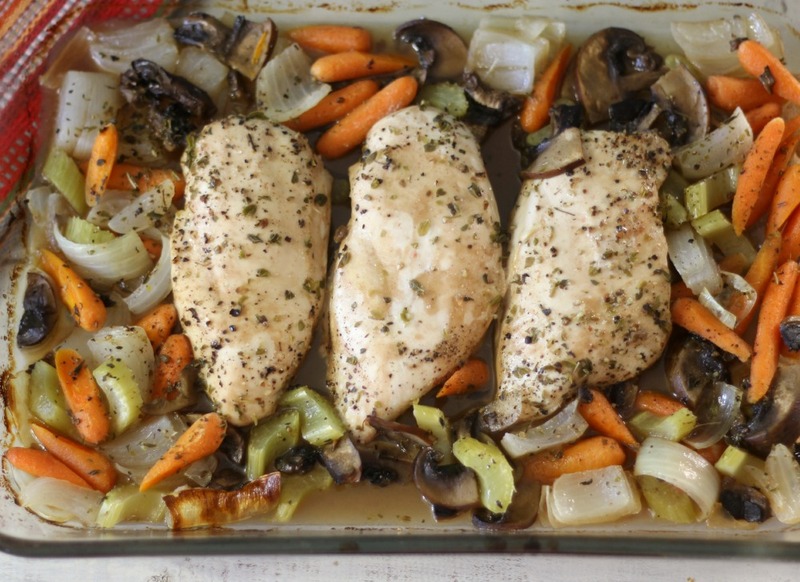 Cover with foil and bake in the oven for 40 minutes, until vegetables are tender and chicken is cooked through.